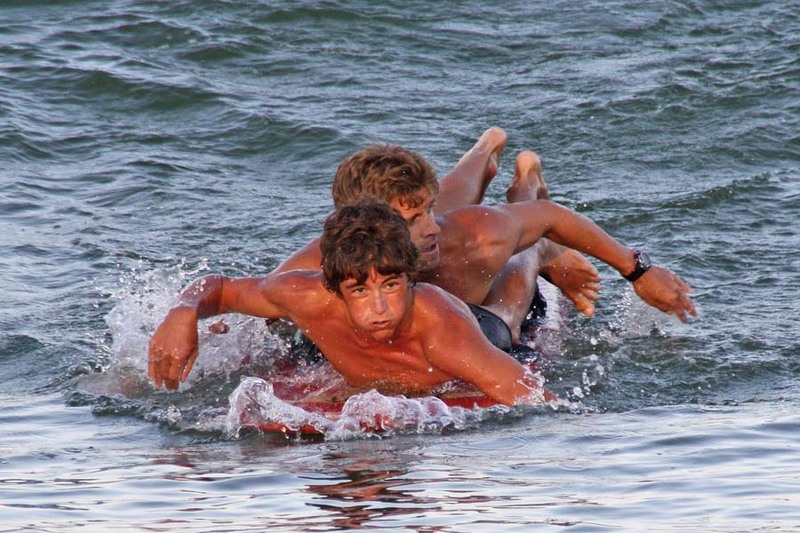 Welcome to the Surf City Beach Patrol website. 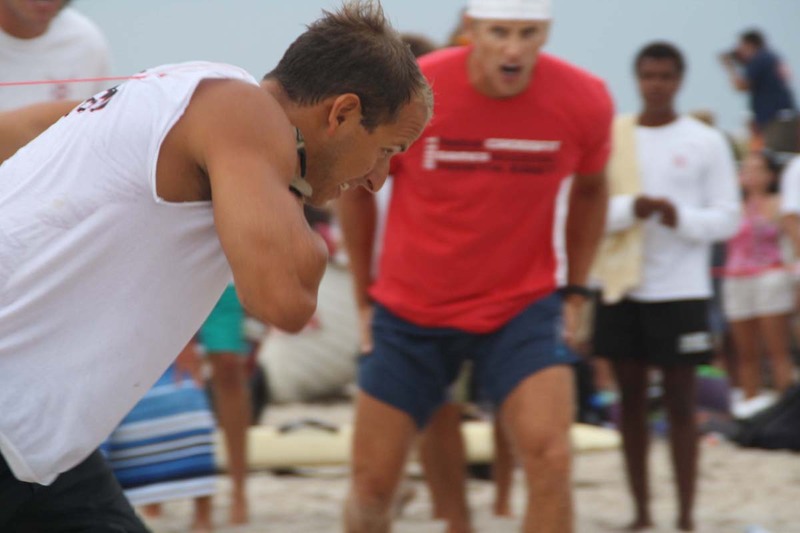 Here you will find information about the Surf City Lifeguards. 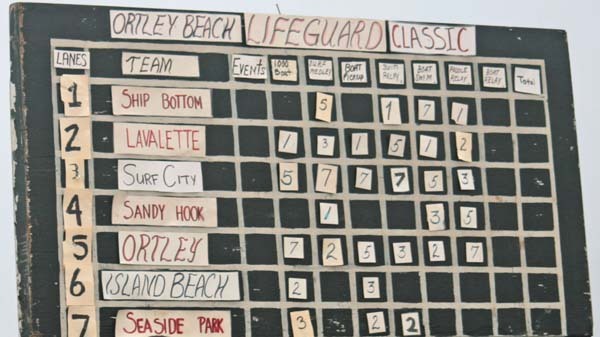 If you have non-lifeguard or beach badge questions please visit the main Borough of Surf City website here. 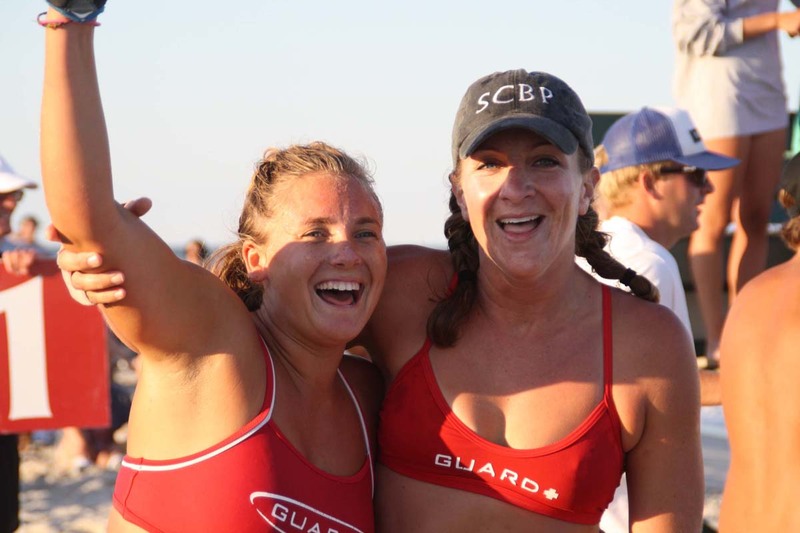 The Surf City Beach Patrol is a State and Nationally USLA certified 34 member squad that offers the opportunity to guard popular and scenic beaches and the chance to train and compete in a fun and friendly environment. Surf City, located on beautiful Long Beach Island, boasts one of the highest wage scales in the East, provides professional and contemporary uniforms, top-notch equipment, and a close-knit squad that shares many extracurricular activities including lifeguard tournaments, volleyball, softball, and barbecues. 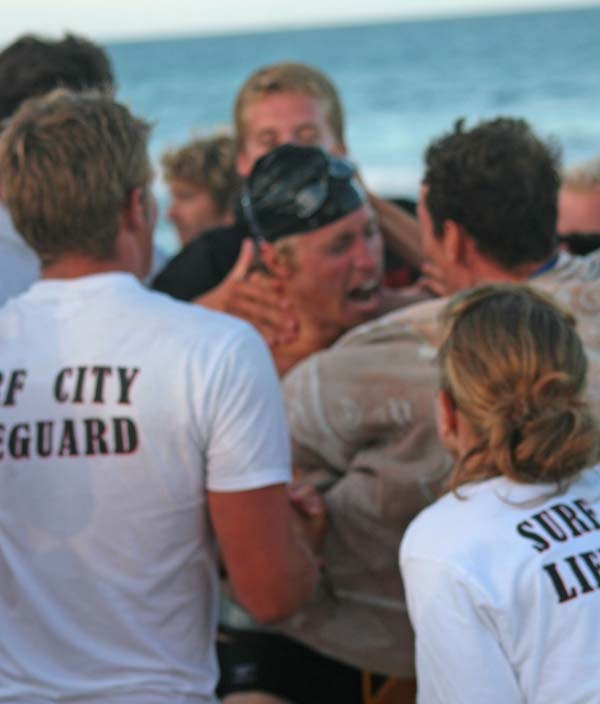 If you are interested in being a Surf City lifeguard you may download an application here. Come out and support your Surf City Lifeguards! 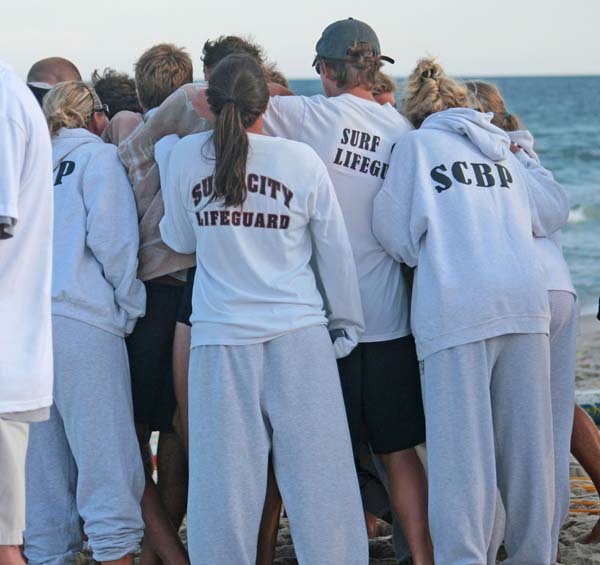 We are now accepting applications for the Surf City Lifeguard-In-Training Program. Information and application download here. St. Francis Community Pool. 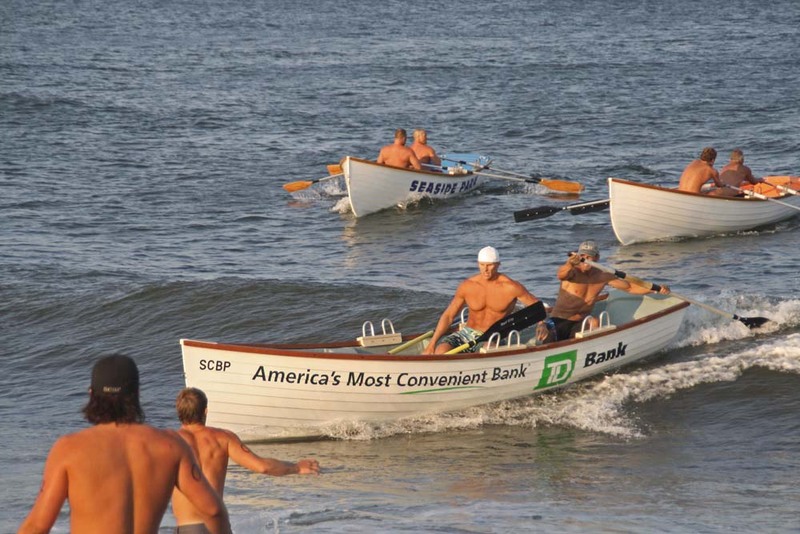 Located at 4700 Long Beach Boulevard, Brant Beach, NJ, 08008. Applicants must swim 500m (22 lengths of the 25yd pool) in less than 10 minutes to be eligible for employment. Only the freestyle swimming stroke is allowed. 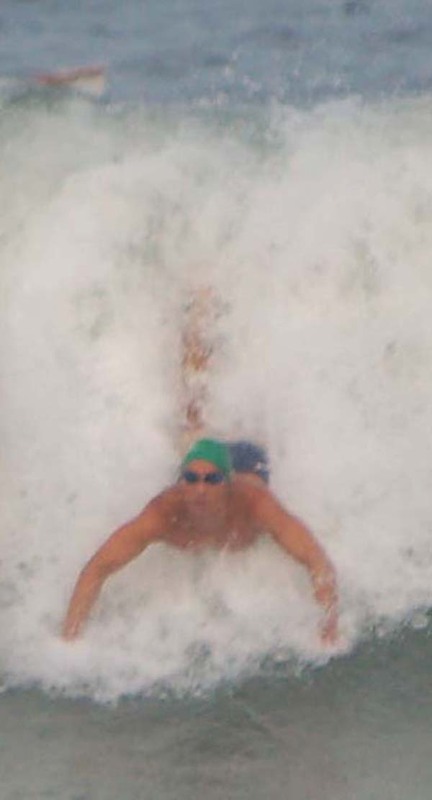 Goggles and swim caps are permitted but diving starts are not. 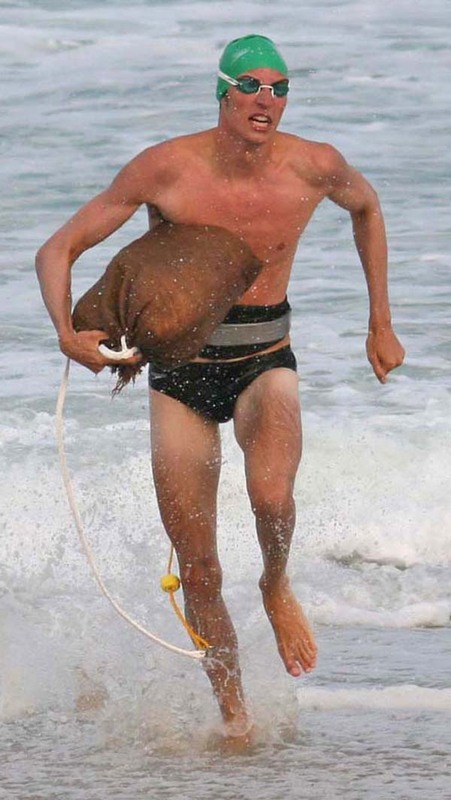 To be eligible for employment applicants must demonstrate the ability retrieve two submerged bricks. There will be a brief interview (5 to 10 minutes) for new applicants. Make sure you bring goggles and your completed Pre-Employment Application and payroll paperwork to the test! If you have any other questions or concerns, or can't make either test date contact me at dileomd1@gmail.com. Make sure you take a look at the FAQ's before e-mailing, you may find the answers to your questions there. You may view/download the pre-season testing and training schedule here. 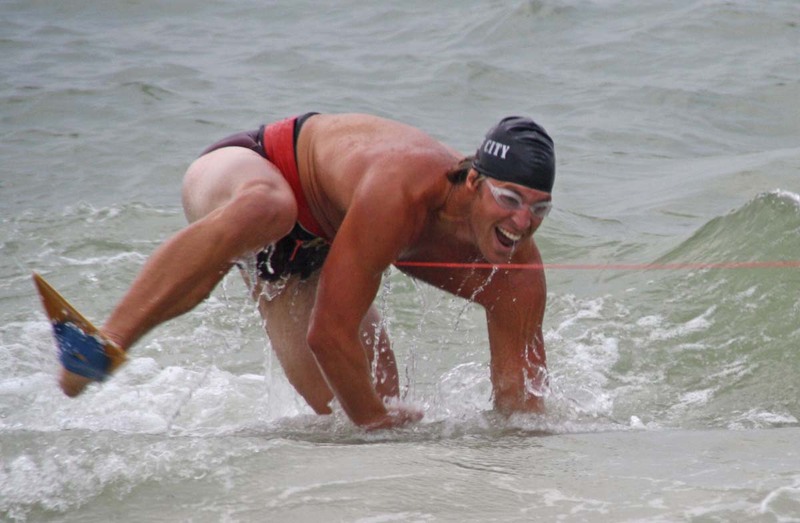 The Surf City Epic Lifeguard Tournament is scheduled for Monday July 9, 2019 at 6PM on the 5th Street Beach in Surf City. Alternate dates are Tuesday July 10 and Wednesday July 11. January 11, 2018 - Finally... the 2018 Online Yearbook is Up!! The 2018 online Surf City Beach Patrol yearbook is live. Follow the link here. 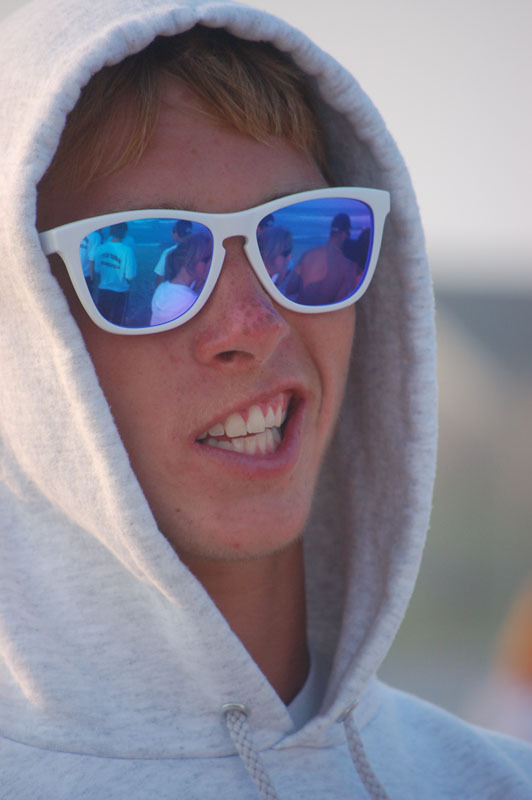 Surf City wins the Seaside Park Lifeguard Tournament. 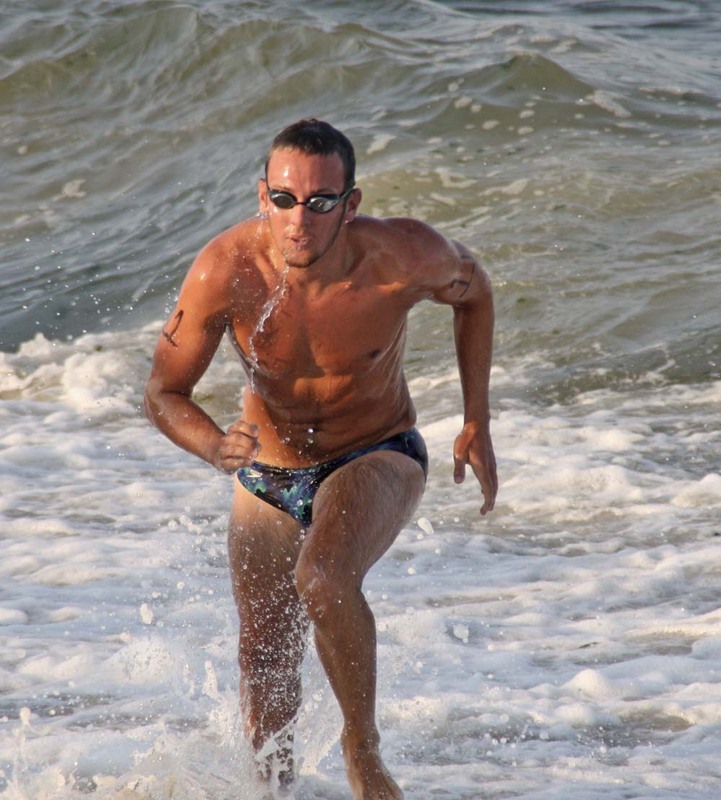 The Surf City Women repeat their 2017 tournament performances by winning the Long Beach Township and Lavallette Women's Lifeguard Tournaments. Download the zip file, password is CJ's last name. January 5, 2012 - 2011 Yearbook and new Hall of Fame pages are UP! Better late than never right? 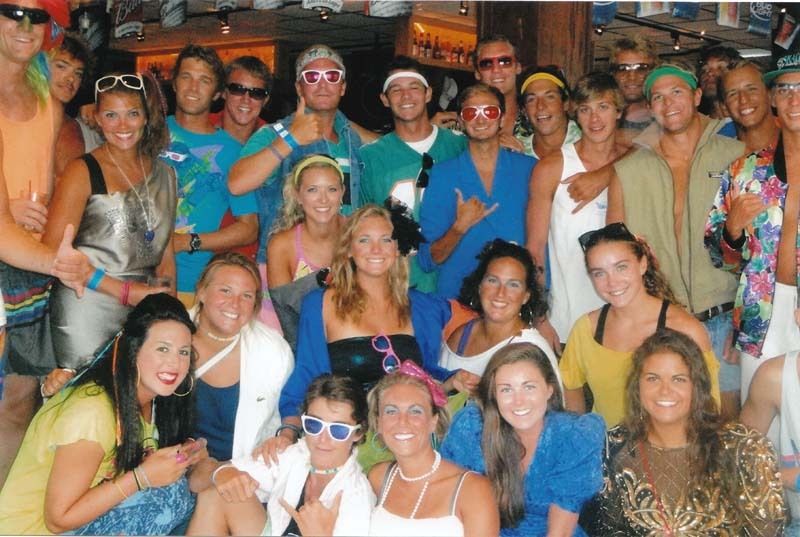 The 2011 SCBP online yearbook is up and you have check it out here. It was a fantastic summer with the guys winning the Seaside Park Tournament and the Sandy Hook Tournament. 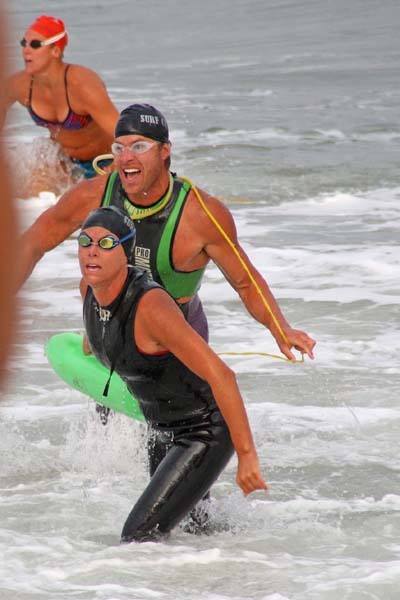 The gals also showed their stuff coming in 2nd at the Island Beach Women's Tournament. In addition the newly created "Hall Of Fame" page has also been posted. December 7, 2010 - The 2010 online Yearbook is UP!!! 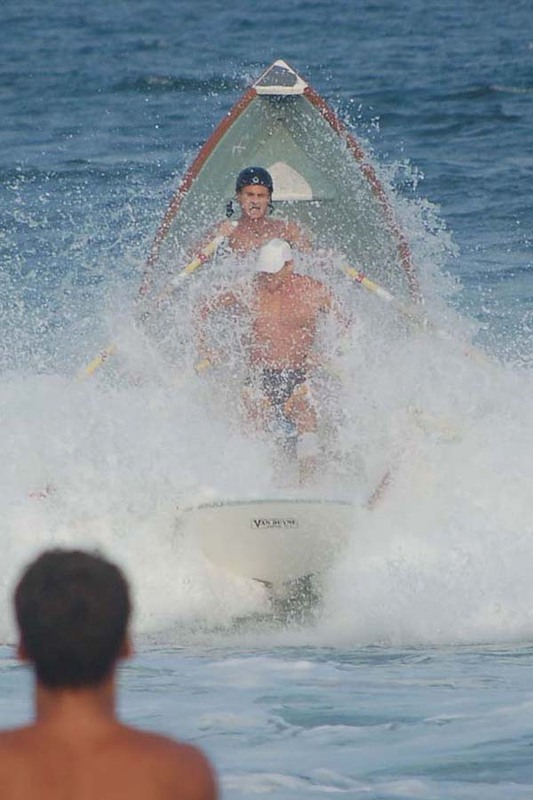 Have a look here at the always interesting chronicles of the Surf City lifeguards as they win their Epic tournament, protect the beach patrons of Surf City, travel the state to compete against other beach patrols, and remember the '80's at the annual banquet! 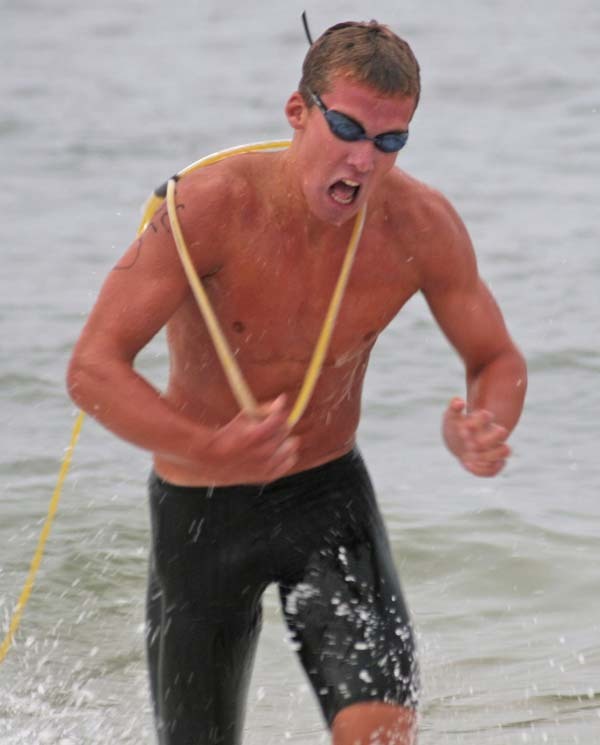 November 11, 2008 - Surf City 2008 Online Yearbook is up!!! 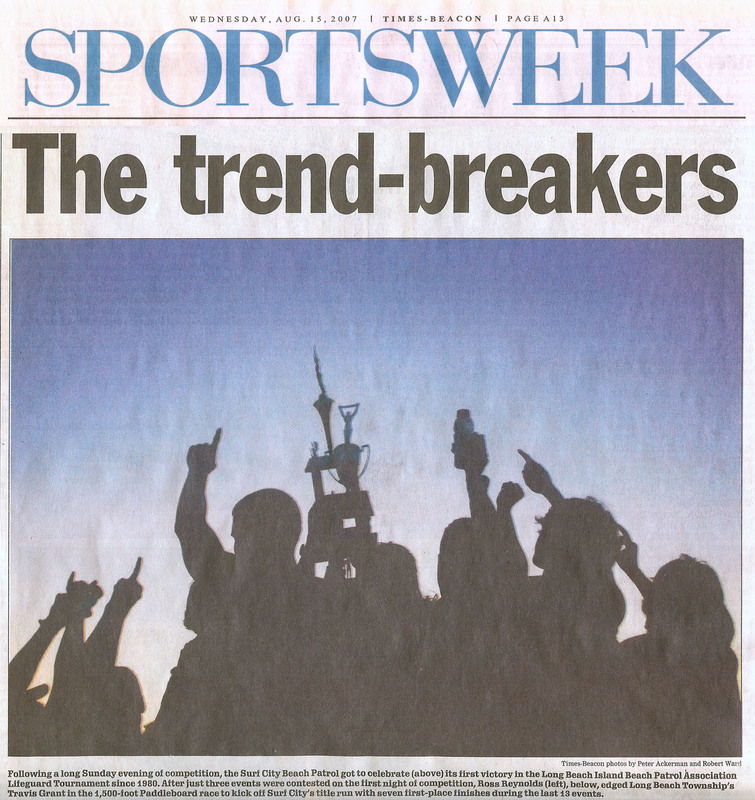 Well there was a lot of happenings to write about this season but the 2008 Surf City Beach Patrol online yearbook is up. Relive the fantastic summer season as the Surf City Beach Patrol kept the beaches of Surf City safe for bathers, enjoyed teams events such a cookouts and the annual Thundering Surf outing (probably the last for that for a while ;), and oh yeah the dominating tournament performance of the Surf City team as they win 6 of the 8 tournaments they attended. After winning the Surf City Epic tournament, the Lavallette tournament, the Ortley Classic tournament, the Island Beach tournament, and the Midway Beach lifeguard tournaments the Surf City juggernaut continued its winning ways by defeating all LBI teams in the Long Beach Island Lifeguard Tournament and winning the tournament for the second year in a row. The Surf City squad had another great showing at the annual Lavallette 6-Man lifeguard tournament winning the tournament with 27 team points. The always strong Ortley squad came in second place with 14 points. Thinks went well for Surf City as the guys won 4 of the 6 events and earned a 2nd and 3rd place in the two events they didn't win. 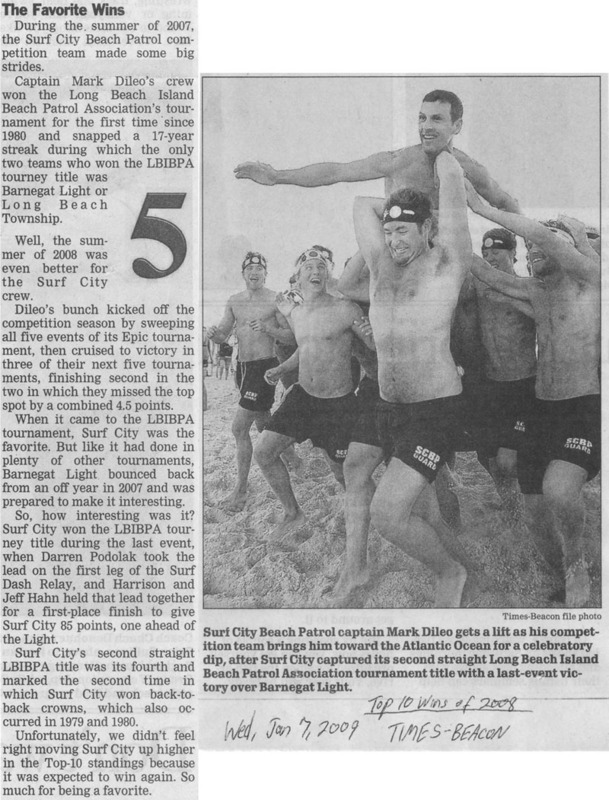 Congrats to Alan, Chris, Dave, Darren, Jeff, Ross and the entire Surf City team.. 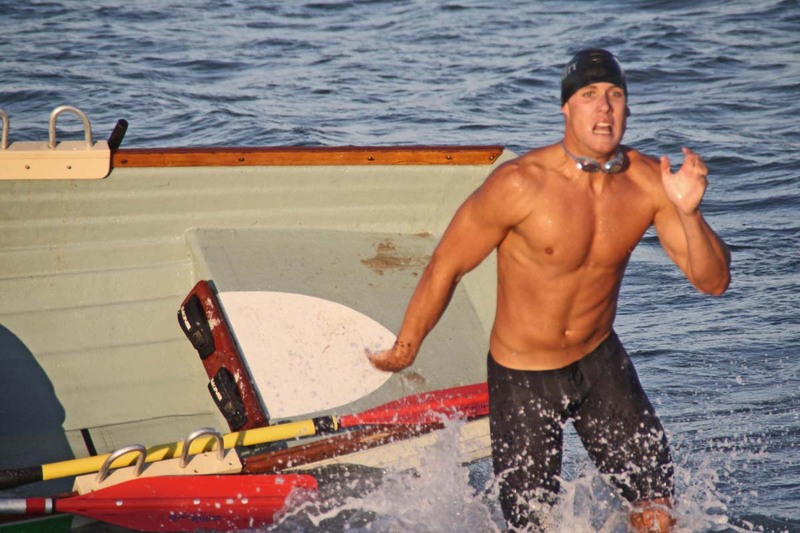 Despite rough ocean conditions and cold water the Epic lifeguard tournament was held as scheduled. It was a fantastic night for the Surf City team as they swept the tournament, winning all five events and earning first place overall with 40 team points. 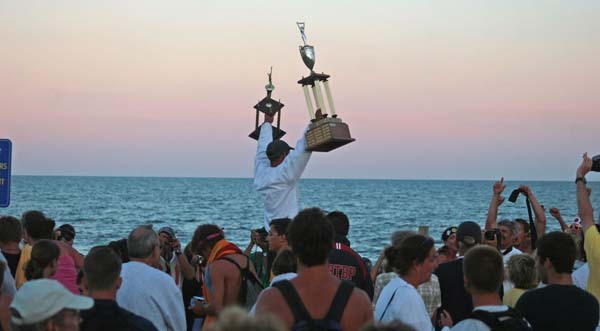 Beach Haven and Barnegat Light tied with 17 points each with the second place award going to Beach Haven because they earned more second place finishes than Barnegat Light. Congratulations to all teams that competed in the Epic.